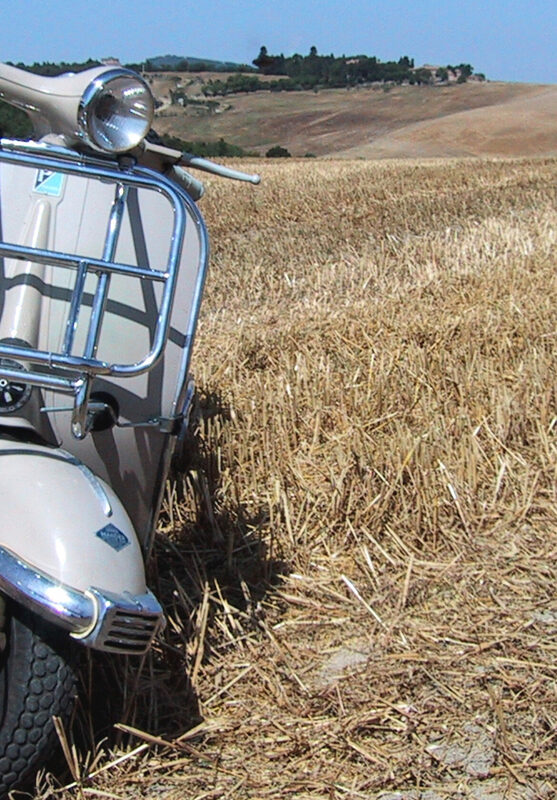 A sepia-hued journey from Milan to Rome on a Vespa that was the same age as me and in the same condition – a little rough around the edges, but going OK. The summer I turned forty I decided to chase a boyhood dream. 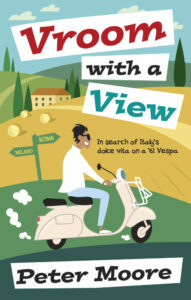 To go to Italy and seek out its celebrated dolce vita on the back of a Vespa. It couldn’t be just any old Vespa. I wanted a bike as old as I was and in the same sort of condition: a bit slow in the mornings but OK once going. I found it on eBay Italy and fell instantly in love. She had saddle seats, temperamental electrics and a little too much chrome. The sort of scooter you’d image a sharp-suited Marcello Mastroianni riding. I promptly christened her Sophia (after Sophia Loren, of course) and soon we were rattling along the cobble streets of hilltop towns and through the Italian countryside. Things didn’t always go smoothly – Sophia was as temperamental and wilful as her Hollywood counterpart – but there was always a helpful local at hand, not just to get Sophia going again, but to show me a side of their country I would not have otherwise seen.